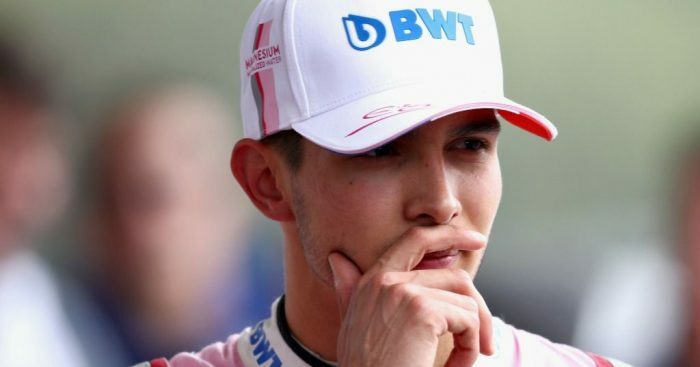 Jacques Villeneuve has said Esteban Ocon’s ties to Mercedes have prevented him from staying on the Formula 1 grid. Ocon has been replaced by Lance Stroll after his father, Lawrence Stroll, took control of the team currently known as Racing Point. Ocon, meanwhile, saw other potential opportunities with the likes of McLaren and Renault slip away, which left Mercedes boss Toto Wolff seething over “broken promises”. The Silver Arrows, meanwhile, were not prepared to end their relationship with Valtteri Bottas, so Ocon has had to settle for a reserve driver role with a view to returning to the grid in 2020. Villeneuve says Ocon has a lot to be thankful for by being part of the Mercedes programme, but it is that same affiliation which now sees on the sidelines. “Esteban Ocon is in F1 thanks to Mercedes,” Villeneuve told RMC. “At the same time, it was the fact of being with Mercedes that blocked him from going elsewhere. “He has already been fortunate enough to be in Formula 1 for a few years without having brought in the budget himself, which is amazing. Villeneuve was speaking after launching a foundation to help with funding for young drivers. Something he thinks is necessary considering what main attribute teams tend to go for in the modern Formula 1 era. “I have the impression today that the financial contribution is more important than talent,” he added to Le Journal de Montreal. “I’ve been in the paddocks for a number of years now and I see how it’s going and I’ve really taken notice, perhaps because I have kids too. “Often, parents come to me and ask ‘What should I do to help my son?’ and my first response now is ‘Tell him to do something else’.